To protect the health of your teeth and gums, you rely on preventing dental issues, like tooth decay, which is why you brush and floss regularly. However, in addition to your home oral hygiene habits, you also need care from a dentist. Unfortunately, if you are like 180 million people, you do not have dental insurance. When your employer does not offer coverage, it can make scheduling appointments difficult due to financial burden. Now, you do not have to delay getting the services you need. New Image Dentistry offers the affordable solution you need with an in-house dental plan. Health and Human Services estimates that one in three adults do not visit their dentist every year. Often, this is due to lack of dental coverage. As a result, appointments for cleanings and checkups go unscheduled, allowing issues that could have been prevented to develop. 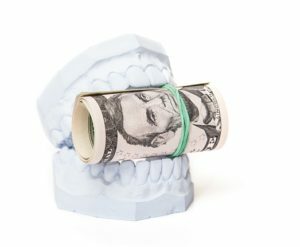 Now, the cost of care further increases as an invasive procedure is needed to restore your oral health. However, if finances are a concern, you may have to further delay getting the care you need because the treatment is not in your budget. At New Image Dentistry, we do not want to see you in this situation. We offer in-house dental plans for affordable rates. In addition to preventive services, you will benefit from reduced fees for restorative procedures and many other treatments. Our dental plan is perfect for yourself or your entire family. For a low annual fee, you will enjoy no deductibles, no yearly maximums, no age limit, and no exclusions for preexisting conditions. You will benefit from preventive appointments, digital images, fluoride treatments, periodontal evaluations, and oral cancer screenings. In addition, the plan covers an at-home bleaching kit and free consultations for Invisalign, sleep apnea, and cosmetic dentistry. If there comes a time when you need a treatment, you will save 20% off restorative procedures. To keep your smile looking its best, we provide a 10% discount off cosmetic dentistry. With 50% of adults suffering from gum disease, we understand that you may need more comprehensive coverage, which is why we offer the periodontal plan. You will benefit from the same services as our basic plan, while also receiving 4 periodontal maintenance appointments. To help keep your teeth and gums healthy, the plan includes a 25% discount off periodontal treatments and 20% off restorative procedures. To reverse any cosmetic damages, you will save 10% off veneers and Invisalign. Do not let the lack of dental insurance prevent you from visiting the dentist. With one of our in-house plans, you can keep your oral health a priority with affordable services. New Image Dentistry is the dental team families in the area trust for healthy, beautiful smiles. We provide high-quality care that exceeds your expectations to help you reach your oral health goals. If you have not scheduled an appointment recently because you do not have dental insurance, contact our office today to learn more about our in-house plans.